Over 100 authentic Chinese recipes, adapted for American kitchens, are organized by region to highlight the specialties and techniques of China's many local cuisines. Yan shares his detailed knowledge of regional cooking, notes on the history and tradition of various dishes, and anecdotes from his travels in China. Description: Coated stock, text clean, slight diagonal crease on front cover. 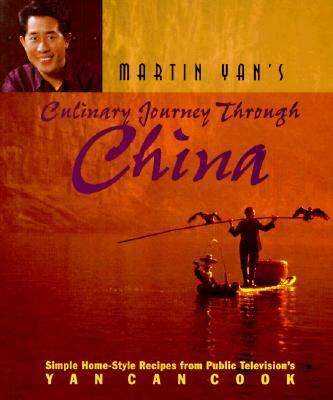 Yan's book companion to a TV cooking series that explored regional cuisines in China. 120 receipes, numerous color photos. Synopses of program episodes. Keywords: CULINARY. Recipes. Television. Asia. China. Church benefit.